The Chemical Composition of geranium oil includes geranyl butyrate, a-pinene, geraniol, myrcene, citronellol, limonene, geranyl acetate, menthone and linalool. Originated from South Africa, as well as Reunion, Madagascar, Egypt and Morocco, these plants were introduced to European countries such as Italy, Spain and France in the 17th century. The plant has about 700 different varieties but only 10 species are capable of supplying viable quantity of oil. It is a perennial shrub, which stands about 1 meter high. The plant has pointed leaves, which are serrated from the edges and the flowers of this plant is pinkish white in color. Geraniums were planted around the house in previous times to keep evil spirits at bay. The oil has watery viscosity. It is normally colorless but can have a slight tinge of light green color in it. The Geranium oil is used in the treatment of lice, acne, hemorrhoids, bruises, eczema, burns, dermatitis and cuts. It also acts as mosquito repellant and treats neuralgia, breast engorgement, tonsillitis, edema and ulcers. The oil is also used in herbal soap bar. 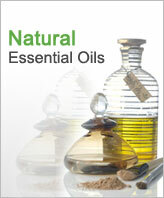 The oil promotes the sense of inner peace and relieves the feelings of anxiety and stress. Geranium oil increases the blood flow and is used as astringent, cicatrisant, diuretic, tonic, deodorant, haemostatic, vermifuge, cytophylactic and styptic. The oil also speeds up the healing of wounds, cuts and surgical incisions. Geranium oil is the colorless or light yellow liquid that creates a balancing effect on mind. It helps in relieving the feelings of stress and anxiety and has a balancing effect on the hormone system. Angelica, Basil, Bergamot, Carrot Seed, Juniper, Cedarwood, Citronella, Clary Sage, Grapefruit, Jasmine, Lavender, Lemongrass, Lime, Neroli, Nutmeg, Orange, Fennel And Rosemary. 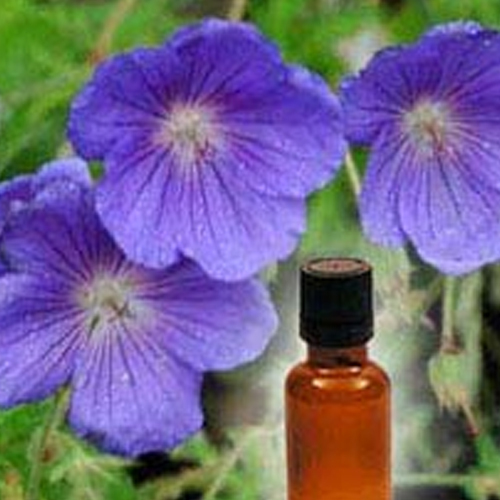 The geranium essential oil is non-toxic, non-sensitizing and non-irritant. It can be tolerated by most people. The oil helps in hormonal balancing so proper care should be taken when used at the time of pregnancy. Its better to avoid the use during that time.  With having alliance with reputed shipping companies, we ship our products by air as well as by sea.